100% pure cane sugar is nature's natural sweetener. Perfect for high-volume foodservice use. Convenient, easy-to-use canister with easy open/easy close pour spout eliminates mess. Granulated. 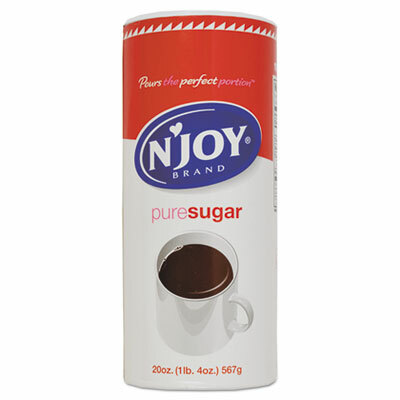 Flavor: Plain; Packing Type: Canister; Premeasured: No; Capacity (Weight): 20 oz. Premeasured single serve packets for convenience on the go. 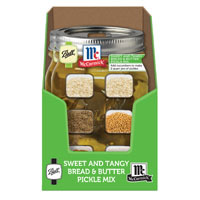 Flavor: Regular; Packing Type: Packet; Premeasured: Yes; Capacity (Weight): 0.28 oz. 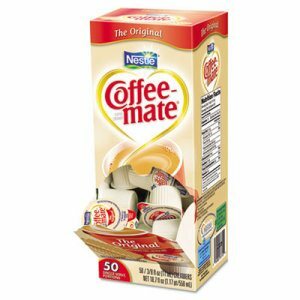 Single-serve cups of real half & half dairy creamer. No refrigeration needed. 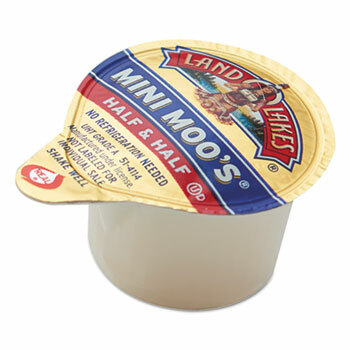 Flavor: Half & Half; Packing Type: Mini Cups; Premeasured: Yes; Capacity (Volume): 0.30 oz. Premeasured single serve packets for convenience on the go. Rich and creamy. 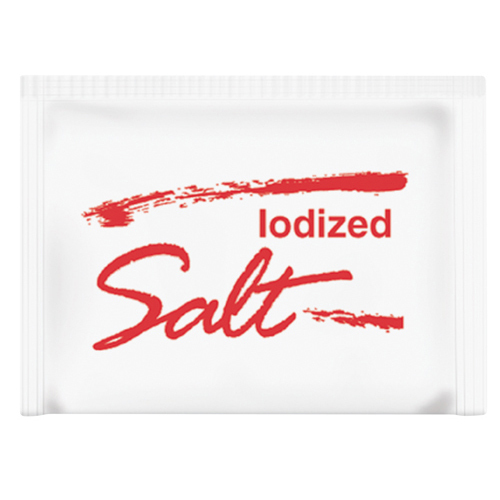 Flavor: Regular; Packing Type: Packet; Premeasured: Yes; Capacity (Weight): 2.2 grams per packet. 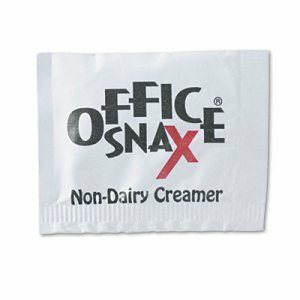 Enjoy the taste of rich, smooth cream in your coffee without having to store milk in the office. 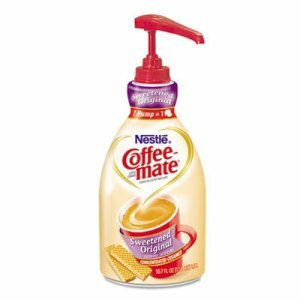 This convenient and economical creamer dissolves easily into your coffee to add flavor. Easy-to-store, with no need for refrigeration. 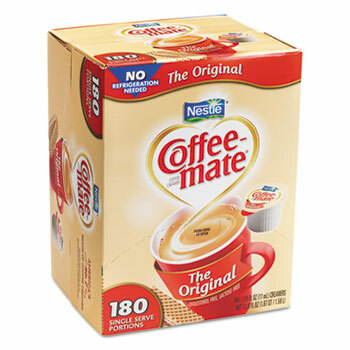 Flavor: Original; Packing Type: Canister; Premeasured: No; Capacity (Weight): 12 oz. 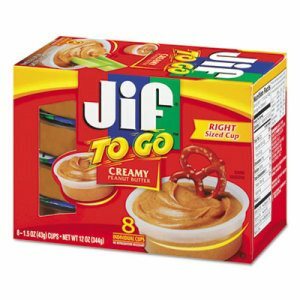 Portable, disposable, easy-to-use Jif� peanut butter containers are great for dipping. They're also good for controlling portion size. Food Type: Peanut Butter; Flavor: Creamy Peanut Butter; Capacity (Weight): 1.5 oz; Packing Type: Cup. A classic favorite! Twang-A-Ritas first margarita salt is made of premium ingredients to bring you a top quality margarita. Comes in a 7 oz. tub. 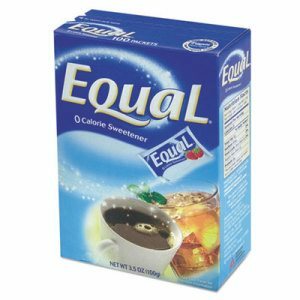 Zero calorie, single serve packets. 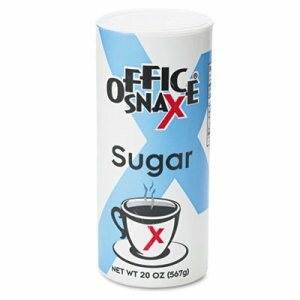 Each contains less than 1 gram of carbs and is as sweet as 2 teaspoons of sugar! 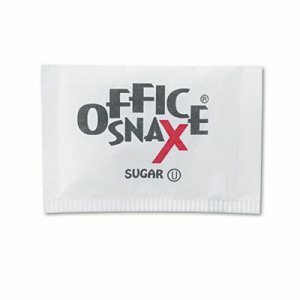 Sweetened with Aspartame. 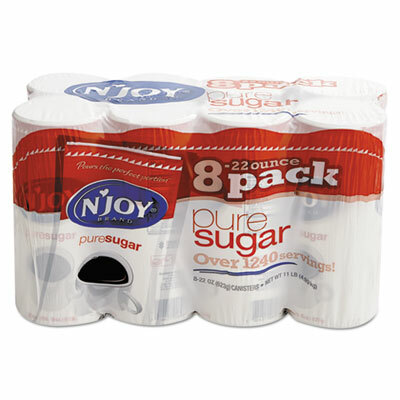 Packing Type: Packet; Premeasured: Yes; Capacity (Weight): 1 g.
100% pure cane sugar is nature's natural sweetener. Perfect for high-volume foodservice use. Convenient, easy-to-use canister with easy open/easy close pour spout eliminates mess. Granulated. Flavor: Plain; Packing Type: Canister; Premeasured: Yes; Capacity (Weight): 22 oz. Premium Turbinado Sugar is pure cane sugar. The sugarcane is cut and transformed into large amber-colored crystals that retain their rich molasses flavor and golden hue. 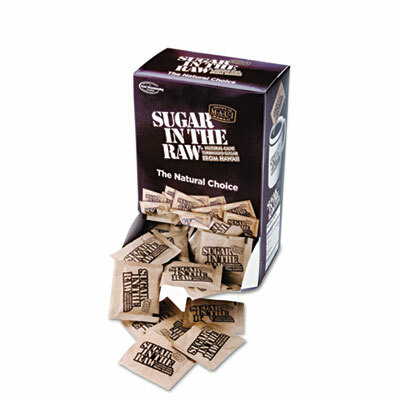 Each packet contains approximately one teaspoon and has five grams of carbohydrates and 20 calories. Packing Type: Packet; Premeasured: Yes; Capacity (Weight): 0.2 oz. Liquid creamer in portion control individual serving tubs. Lactose-free, gluten-free, Kosher dairy and shelf-stable. No refrigeration needed. 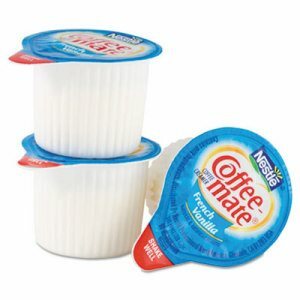 Flavor: French Vanilla; Packing Type: Mini Cups; Premeasured: Yes; Capacity (Volume): 0.375 oz. 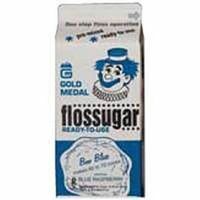 A natural, unrefined sugar made from sugar cane grown in Maui. 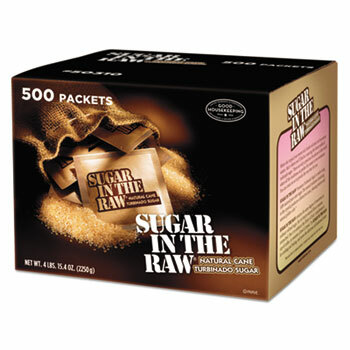 Each packet holds approximately one teaspoon and has five grams of carbohydrates and 20 calories. 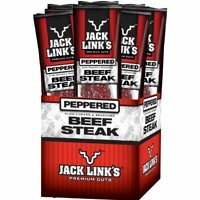 Flavor: Original; Packing Type: Packets; Premeasured: Yes; Capacity (Weight): 0.18 oz. 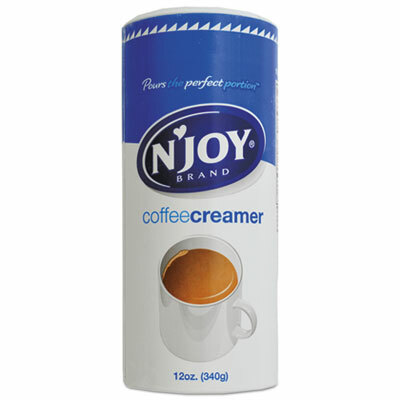 Non-dairy coffee creamer is now available in a convenient, easy-to-use dispenser that eliminates mess. One pump gives you the same amount of creamer as one small tub. Pump is non-removable once installed for food safety. Lactose-free, gluten-free, Kosher dairy and shelf-stable. 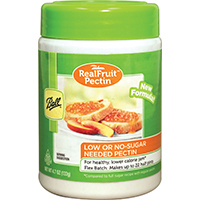 Flavor: Sweetened Original; Packing Type: Pump Dispenser; Premeasured: No; Capacity (Volume): 1.5 Liter.